On the 40th anniversary of the Singapore Billy Graham Crusade, Salt&Light brings you a series of behind-the-scenes stories. When asked if he was apprehensive about addressing a crowd of more than 60,000 every night, Yap replied: “It was not me doing the work, but God with His abiding grace working through me. During the course of the crusade l went on my knees every day with my wife and we surrendered ourselves afresh to Him." All photos courtesy of Armour Publishing. Meeting Peter Yap, the official interpreter for Dr Billy Graham during the Singapore Billy Graham Crusade, turned out to be quite a pleasant revelation. 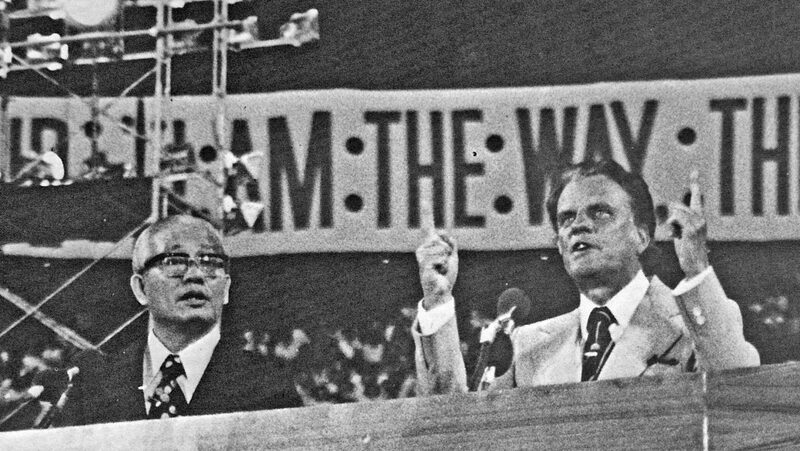 Like thousands of others, l was impressed by this polished interpreter who stood alongside Dr Graham, confidently matching the renowned evangelist gesture for gesture, intonation for intonation, without so much as a hint of hesitation, and whose commanding voice rang with authority through the packed stadium. 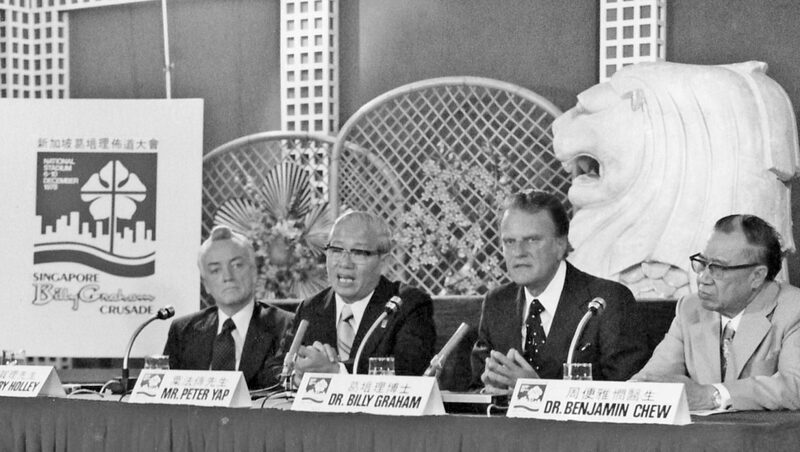 Peter Yap, second from left, interpreting for Billy Graham at the press conference in December 1978.
l had impressions of a rather austere and authoritative man, perhaps even a little brisk. The person who shook my hand in the lMPACT office was rather the anti-thesis. Yap was extremely amiable and warm … disarmingly cordial. As we talked, it was plainly evident that working with Dr Graham had been an outstanding event in his life. As an interpreter, he lived with the crusade team at Hyatt Hotel. His polished rendering of the messages belies the fact that there were no extensive preparations. Since Dr Graham did not preach from a complete script, he only discussed the outline of his messages and the Bible verses with Yap. This was done each afternoon before the meetings. Yap observed: “I think he is the best orator l have worked for, but I was much more impressed by his humility and purity. I think this accounts for his successful ministry. On several occasions when Dr Graham’s tight schedule did not permit their afternoon meeting, Yap was only given a synopsis of the message as he travelled with the evangelist to the stadium or in the VIP lounge just before they stepped on to the platform. I asked Yap how he acquired his skills in interpretation. In December 1920, a Chinese couple, Mr and Mrs Yap Lee Chip (Peter Yap’s parents) arrived in Singapore from Fukien, China. They had accepted an invitation to work for their fourth uncle, Yap Chor Keng, who had established the Yap Tiong Hoe Brickworks in Singapore … hopefully, a better alternative to the hard farm life in China. However, their excitement of starting life anew was marred by the death of their fourth daughter on board the ship. Their three elder daughters had died as infants. But there was hope, for Mrs Yap was again heavy with child. They set up home and began working for their uncle who, with his wife, were dedicated Christians. Sensing the unhappiness of his nephew and wife, fourth uncle talked to them about the hope that he himself had found in Christ. The young couple turned to God with the kind of devotion and abandonment which only deep sorrow could bring. Four months later, their first son was born. 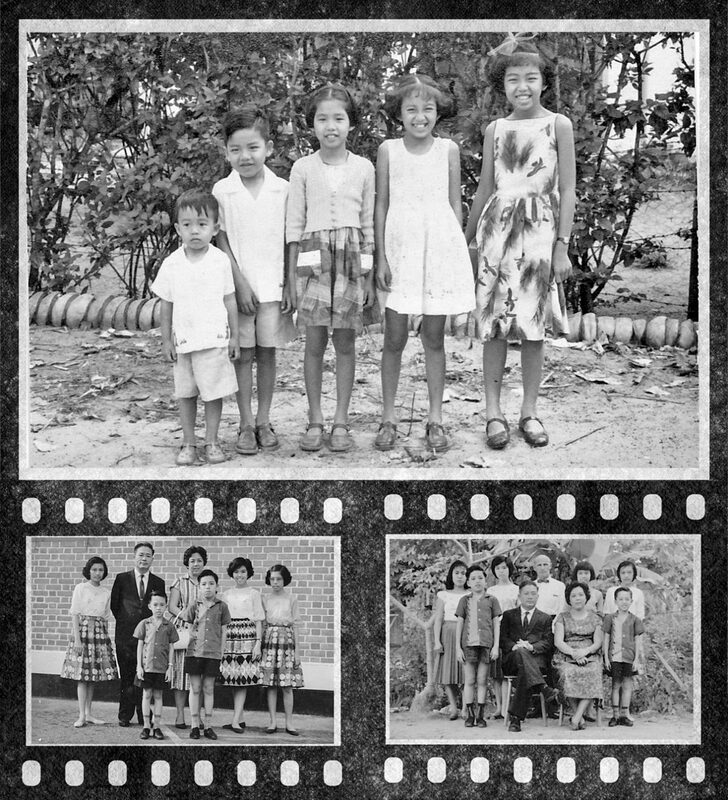 Clockwise from top: The five Yap children; Yap family with Jimmy Glover (middle back); Yap family portrait. Though new believers, they decided to dedicate their first male child to God, to tell others about the Christ who had given them peace. So they named him Yap Huat Tuan (法傳, literally translated: To preach Christ in God’s way). Yap discovered his own oratorical gift early in life. He won prizes in speech contests both in Mandarin and English. Later, as a language teacher, he often addressed the school assembly. During those early years, he began to serve as interpreter in Christian meetings but more often from Mandarin to Hokkien. His parents named him Yap Huat Tuan (法傳, literally translated: To preach Christ in God’s way). The turning point came in 1946, interestingly through an Irishman named Jimmy Glover. Glover, a diesel engineer with the Naval Base, was an unusual character. He had a consuming desire to preach the Gospel to the Chinese people. (One of his standing jokes was: “I have a white man’s nose but a Chinese heart.”) His biggest hindrance was that he could not speak Chinese. One fateful day while distributing tracts at Nee Soon, Glover fell into a huge monsoon drain and was so badly hurt that he had to be hospitalised. There he was visited by a friend, Pastor Daniel Sundrum, who was then the principal of the afternoon session of Victoria Institution. “l love the Chinese people. I want to preach to them with my lantern slides (what colour slides were called in those days), but no one understands lrish English,” Glover lamented. This incident started a three-year partnership and a life-long friendship between Peter Yap and Jimmy Glover. Soon after, they went on preaching trips at least twice a week, with Glover at the wheels of a monstrous Naval Base truck, Yap at his side and the “lantern slides” packed in the rear. 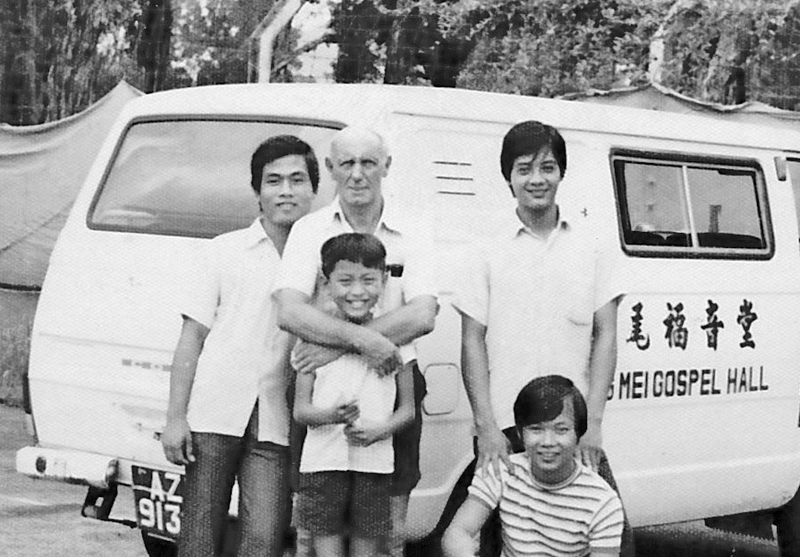 Irish preacher Jimmy Glover (second from left) was a trusted mentor and good friend to Peter Yap. Unbeknownst to Yap, interpreting extensively for Glover would help prepare him for the Billy Graham Crusade in later years. “My partnership with Jimmy was the turning point in my life,” Yap recalled. “He was not very big physically but was extremely energetic, had a terrible Irish accent and spoke much more rapidly than Dr Graham. “Working with him was the best training any interpreter can get. I had to think very fast and match his fiery preaching. I was young then and enjoyed every minute of it though it was tough and tiring work. 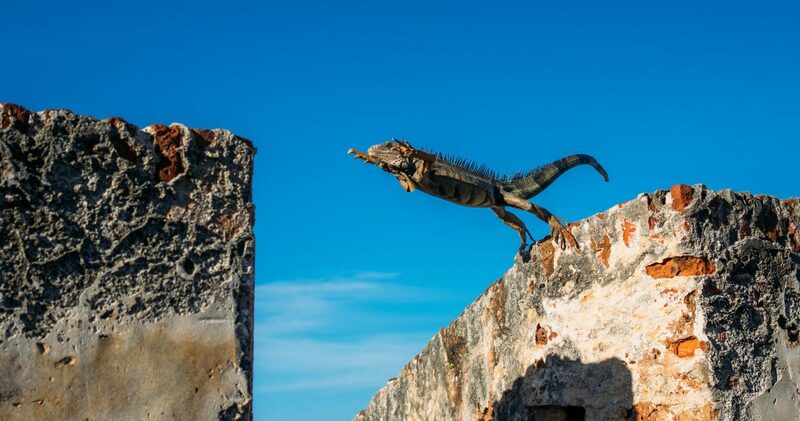 “Later, I was more and more called upon to serve as an interpreter. l also worked as a part-time interpreter for the Legislative Assembly (the predecessor of the present Parliament) from 1959 to 1962. After the (1978) crusade, many people asked me how I managed to interpret so smoothly. 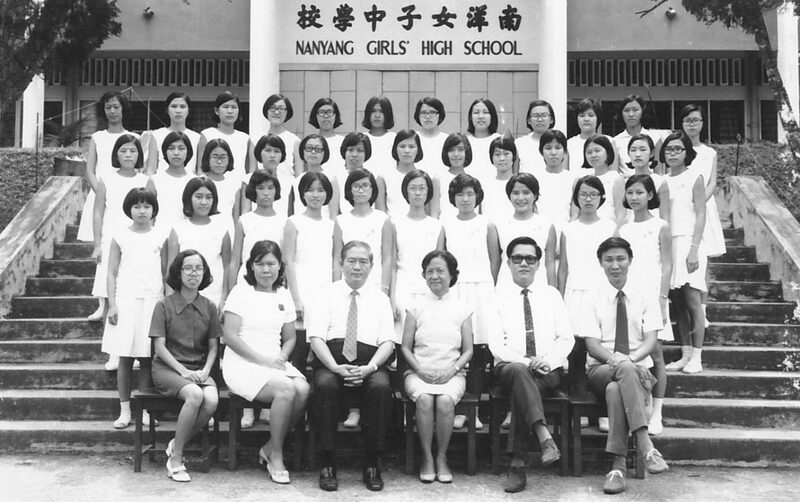 Peter Yap (seated, third from left) with his class of 1973 from Nanyang Girls’ High School. He was an English Language teacher for 27 years despite the fact that he had never been formally schooled in English. Yap was invited to teach at NYGH after he interpreted for then-principal Mdm Liew Yuen Sien at a gathering in 1949. Today, Yap, who retired from the teaching profession (first at Poi Eng Public School and then at the Nanyang Girls’ High School) in 1977, is an active layman. He serves as director of the Board of the Singapore Bible College and also on the Singapore Committee of the China Graduate School of Theology in Hong Kong. He estimated that he had made more than 40 ministry trips to Indonesia, Malaysia and Thailand. Four of his five children are married and he has five grandchildren. 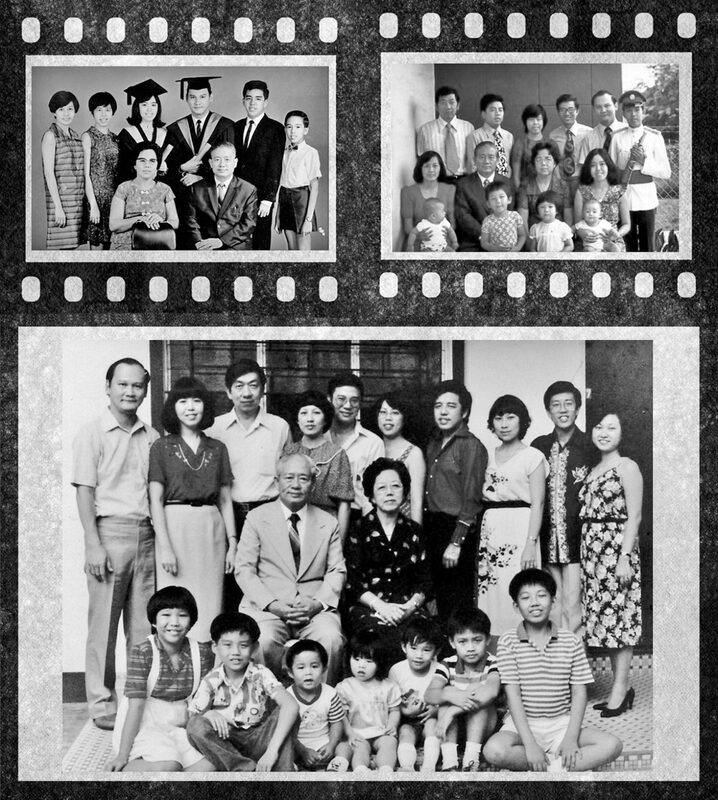 Portraits of the Yap family over the years. 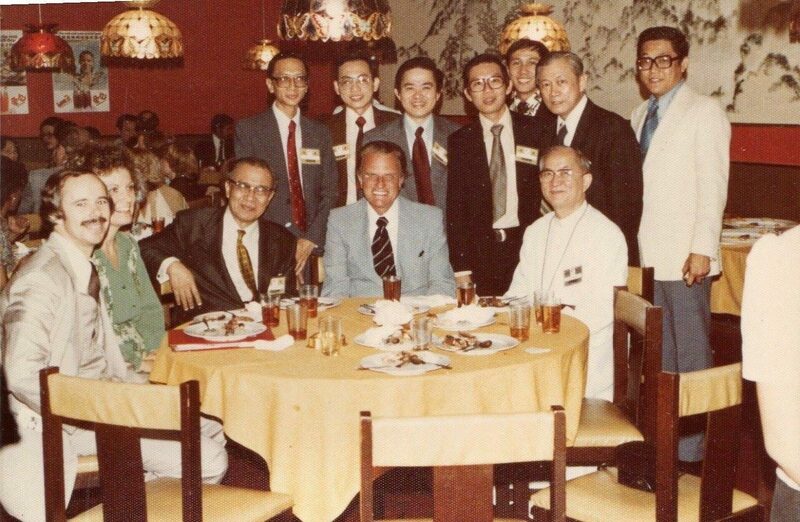 Peter Yap Huat Tuan (seated) was called home to be with the Lord on 2 June 1985 at the age of 64. “It was not me doing the work, but God with His abiding grace working through me,” replied Yap. “During the course of the crusade l went on my knees every day with my wife and surrendered ourselves afresh to Him. Many thousands saw the result of this man’s surrender. This article, written in 1979 by IMPACT Magazine‘s associate editor Seetoh Wing Luk, was subsequently included in the annexe of Faith of our Father: The discipleship walk of Peter Yap Huat Tuan. It is republished in Salt&Light with permission. Some thought Billy Graham interpreted for him! When Dr Graham arrived at the Singapore Airport, Elder Yap was a part of the special welcome delegation, and he set off to work — interpreting for Dr Graham at the airport welcome, then at the welcome dinner, professional and pastors’ reception, press conference, pastors’ meeting and the dedication service which was attended by 30,000 participants. One night, Dr Graham requested Elder Yap to tell the story of Noah’s Ark as depicted in the Chinese character for “boat”. It was captivating how he unravelled the ideogram “船” which represented eight persons in a vessel. Dr Graham just stood by his side listening intently to him speaking in Chinese and English. That was the only time in all of Billy Graham’s meetings around the world when he requested that his interpreter preach. Due to Yap’s thorough preparation, experience and spontaneity, he interpreted Dr Graham’s messages explicitly, fluently and powerfully. Some Chinese-speaking Christians actually thought that Yap Huat Tuan was the preacher in Mandarin while Dr Graham interpreted in English! 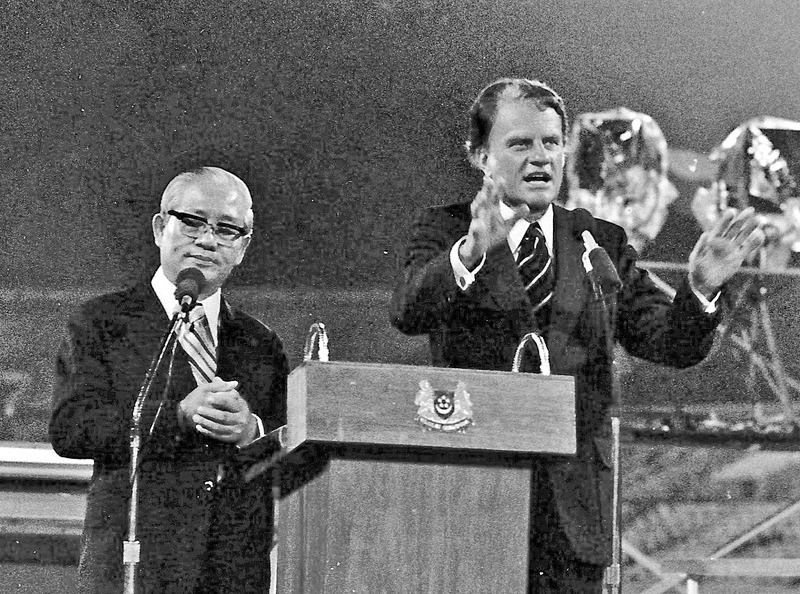 The newspapers reported that 75,000 attended the final-night gathering (at the Singapore Billy Graham Crusade) on 10 December 1978. 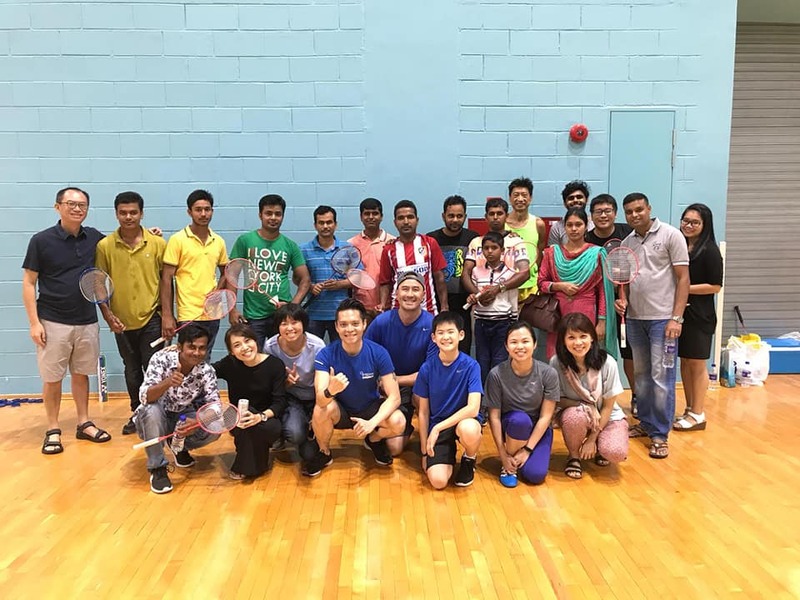 It was a record number in Christian gatherings in Singapore! This is an excerpt of the foreword written by Rev Dr Alfred Yeo Chee Heng from the book, Faith of our Father: The discipleship walk of Peter Yap Huat Tuan. It has been republished here with permission from Armour Publishing. Find more stories on the remarkable impact of the Singapore Billy Graham Crusade here, here, here and here, and in Chinese here. This article, written in 1979 by IMPACT Magazine's associate editor Seetoh Wing Luk, was subsequently included in the annexe of Faith of our Father: The discipleship walk of Peter Yap Huat Tuan. It is republished in Salt&Light with permission. 40 years after the Billy Graham Crusade, two generations ask: What's next?